W founder Warren Johnson checks out "The Ivy's younger sister". Dubbed The Ivy’s younger sister, The Ivy Market Grill is the latest addition to Richard Caring’s portfolio of restaurants. 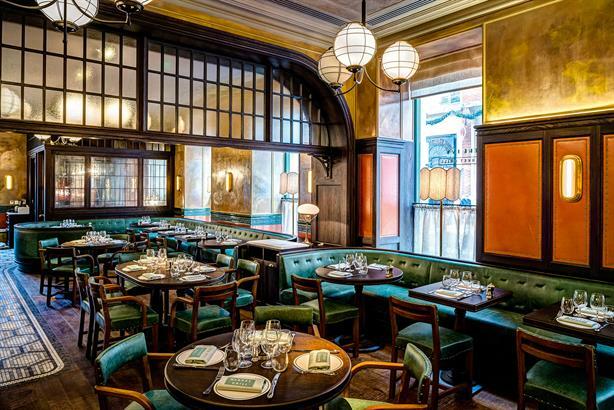 Situated on a corner of Covent Garden’s piazza, the latest incarnation of The Ivy brand markets itself on the same exemplary service and dishes, but caters for those looking for a quick bite pre- or post-theatre. Sean Burbidge, formerly head chef of Gordon Ramsay’s Petrus in Knightsbridge, runs the kitchen. It’s an expansive, two-floored venue comprising the restaurant, bar, café and dining terrace. With a nod to late-19th century grandeur, the interior is sports green leather upholstery, art-deco lighting and mosaic floors. Those mourning The Ivy’s closure for refurbishment will be pleased that the all-hours, all-meals grill offers many of the mothership’s favourites. The modern British menu is comprehensive with dishes served straight from the grill. I had the crispy duck salad and the whole lemon sole. Dark treacle tart with clotted cream was calling for dessert. For those needing a quick (but delicious) fix, shepherd’s pie and Champagne is the only option on the post-theatre menu. The staff were attentive yet unobtrusive, though the tables were perhaps a little too close for comfort. On a sunny day, the al fresco dining area seems a nice lunch option. Walk-ins are encouraged (you may have to queue, but there’s ample space for lounging at the bar). More fun than wow, unlike its older sister. A great addition to the London restaurant scene and a further sign of the re-emergence of Covent Garden as a destination for Londoners rather than just tourists.